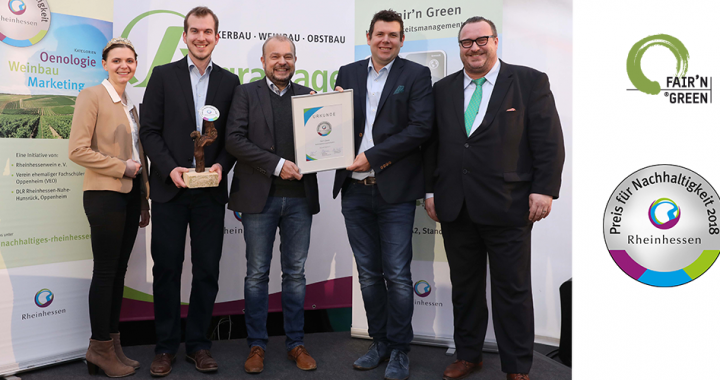 The sustainability award 2018 will be given to the sustainability management system of Fair'n Green e.V. (Bonn). The prize is awarded in the “Open category” because Fair'n Green highlights all areas of a company. A jury of scientists, consultants and practitioners consulted and decided on this year’s winner. The award ceremony will take place during the opening of Agrartage 2018 on January 24, 2018 at 9:00 am in tent A2 (booth 061) of the large machinery and equipment exhibition in Nieder-Olm. The award-winning service is a management system that applies ecological, social and economic criteria to the sustainable development of a winery and its region in all areas of a winemaking, from cultivation, oenology and marketing to business organization and management accounting. In this case, the Fair’n Green e.V. conducts life cycle assessments with independent NGOs and is well connected to the industry's research and education institutions. The certified wineries are therefore always up to date in terms of research and development in the areas of sustainability and benefit both from the company-specific assessment, but also from possible benchmarks in the industry. The sustainability system Fair'n Green is - regardless of the current philosophy of the winery - interesting for both conventional and organic farms. The jury particularly appreciated the network idea and the exchange between member wineries, which the association cultivates. This ensures the continuous improvement process. In addition, the certification system provides a self-explanatory label that identifies wines from sustainable viticulture. A plus for the increasing demand for sustainably produced products in Germany, but also on important export markets such as the Scandinavian countries, the USA and Asia. So far, more than 30 wineries are certified according to the guidelines of Fair'n Green. Including many well-known German wineries, who are committed to their responsibility for the environment and for subsequent generations and thus dedicate themselves openly to sustainable winemaking. The Sustainability Award 2018 was announced for the seventh time in a row. The intention of this competition is to reward products, systems and services that promote sustainable business practices for wine companies. The jury assesses criteria of ecological and social compatibility as well as economic aspects. 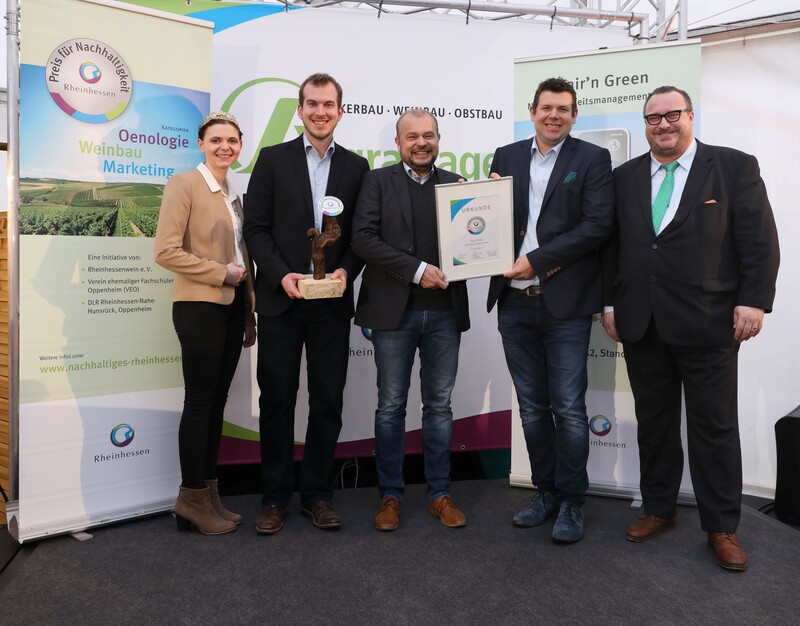 The competition is an initiative of the “Verein Ehemaliger Oppenheimer Fachschüler” (VEO) and the DLR Rheinhessen-Nahe-Hunsrück as the organizer of the Agrartage in Nieder-Olm together with Rheinhessenwein e.V. The prize for sustainability was advertised again this year in the categories of viticulture, oenology , marketing and the open Category. Only exhibitors from the equipment and machinery exhibition in Nieder-Olm can apply. The applications in the categories viticulture, oenology and marketing unfortunately could not convince the jury. Essential for the award are environmentally friendly, socially acceptable and economically interesting attributes, but also the practical suitability, which the jury members put to the test for every application, since the awarded products and services should be directly applicable. This text was translated by fair'n green. To see the original press statement please follow the link below.